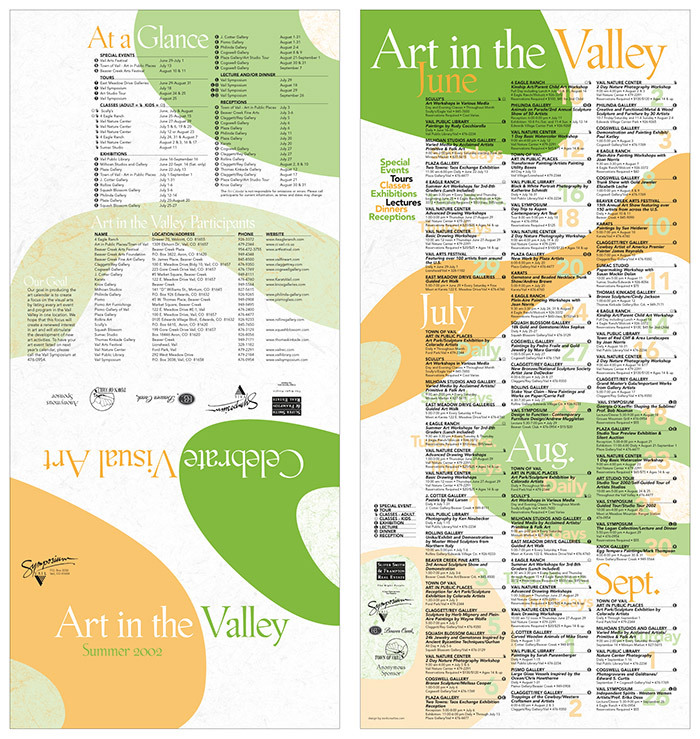 Caption Event calendar, poster and brochure to promote art and art events in the Vail Valley. A two-color piece. Left: outside self-mailer sides, summary and participants. Right: event calendar and poster.